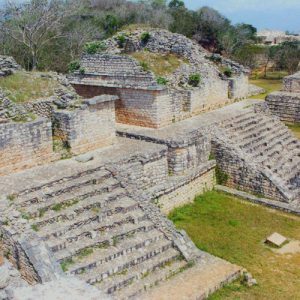 Get on an archaeological expedition full of adventure. 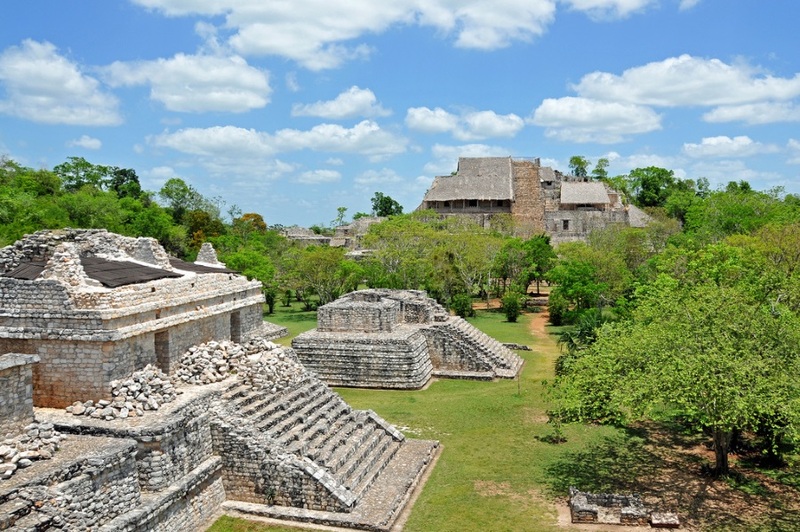 Visit the archaeological site of Ek Balam, the ancient Maya City that had its glory before Chichen Itza. Discover the mysterious and the biggest cenote (sinkhole) discovered in the Yucatan Peninsula Cenote Maya, enjoy its beautiful natural formations and great natural pool of 60 meters diameter. 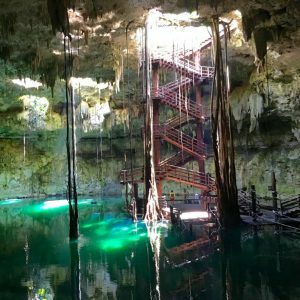 Descend into the region’s most impressive cenote through a large wooden staircase made with the ancient Maya technique. 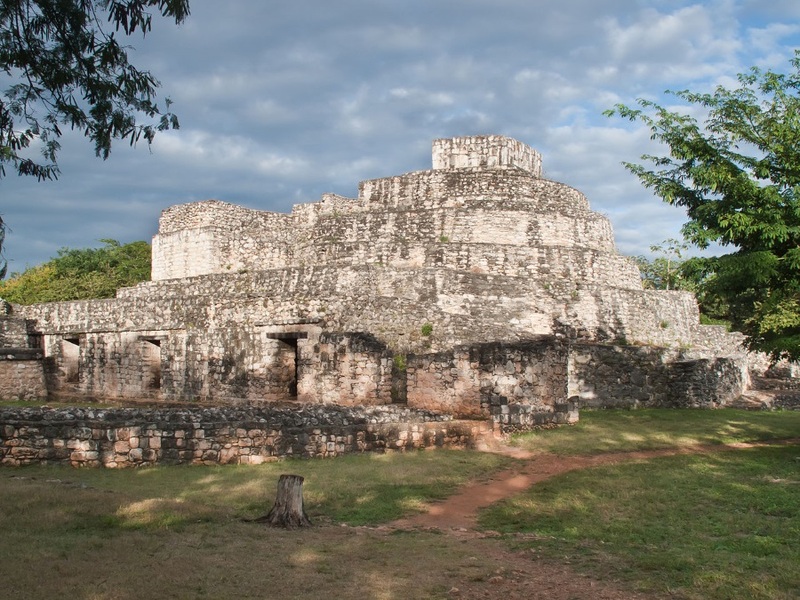 During the tour you will see different Maya communities. 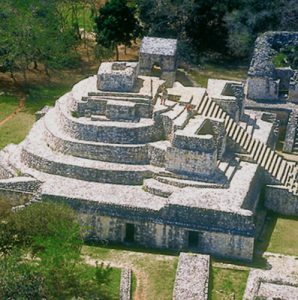 Ek’ Balam is a Yucatec-Maya archaeological site within the municipality of Temozon, Yucatan, Mexico. 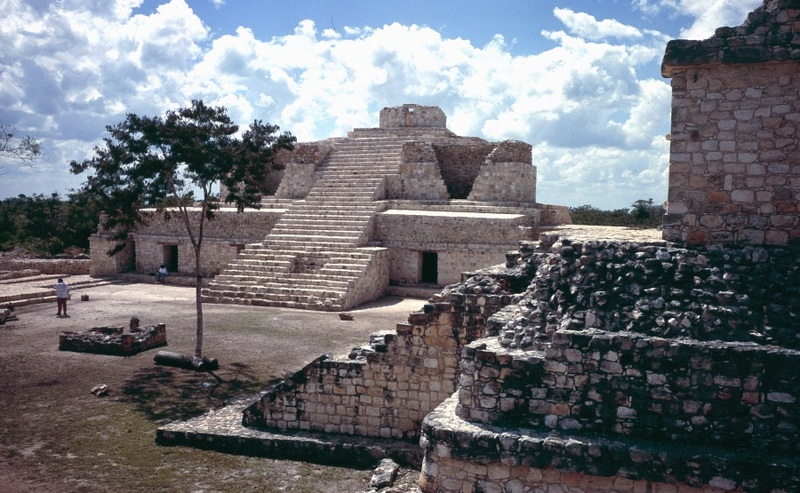 It lies in the Northern Maya lowlands, 25 kilometers north of Valladolid and 56 kilometers northeast of Chichen Itza. 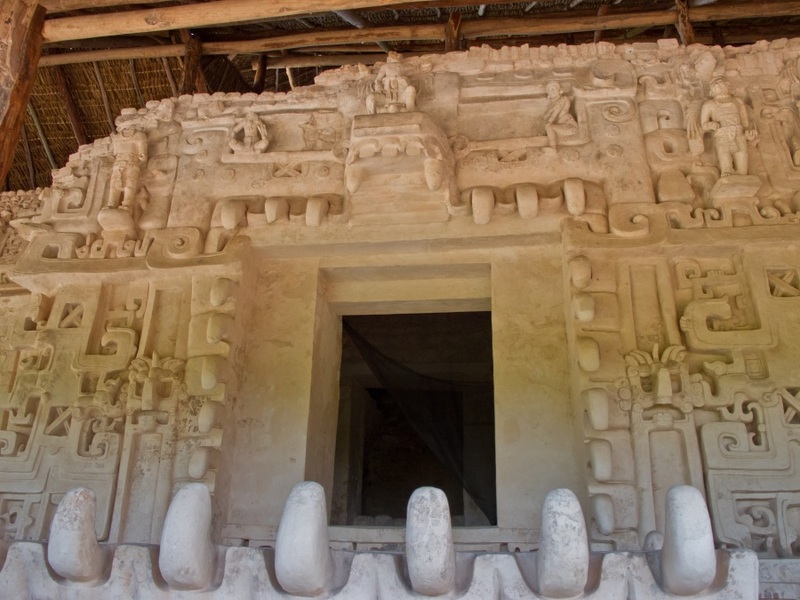 From the Preclassic until the Postclassic period, it was the seat of a Mayan kingdom. 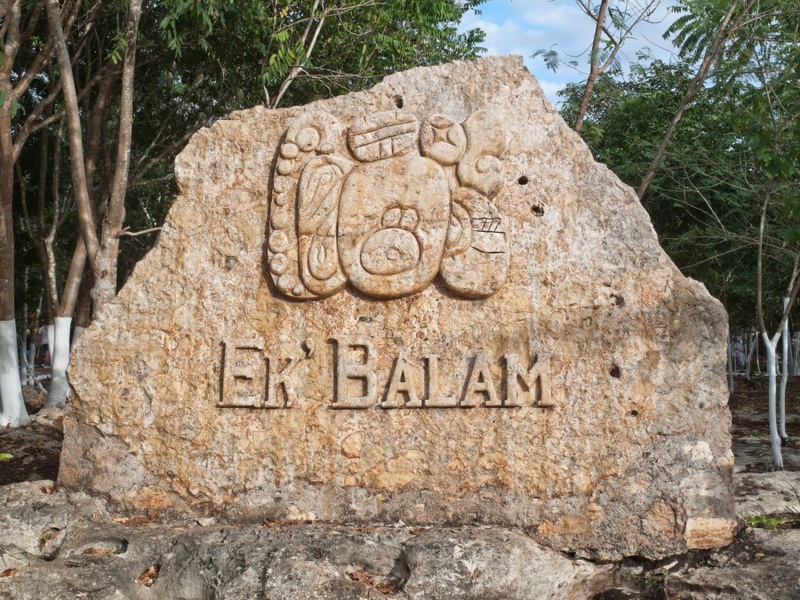 The population decreased dramatically, down to 10% of its highest, during the Postclassic period as Ek’ Balam was slowly becoming vacant. 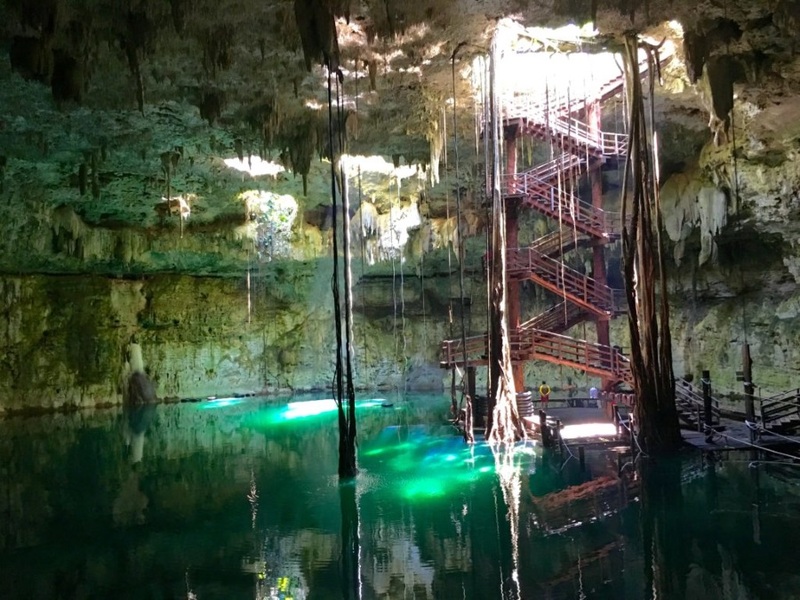 Visit and refresh at Cenote Maya Park, a cenote is a natural pit, or sinkhole, resulting from the collapse of limestone bedrock that exposes groundwater underneath. Especially associated with the Yucatan Peninsula of Mexico, cenotes were sometimes used by the ancient Maya for sacrificial offerings. Go down into the region’s most impressive Cenote of 60 meters diameter and in an almost perfect circular shape. Enjoy its beautiful rock formations and swim in this large and fresh natural pool. Go back to the surface from the underworld through a tunnel or a large wooden staircase. 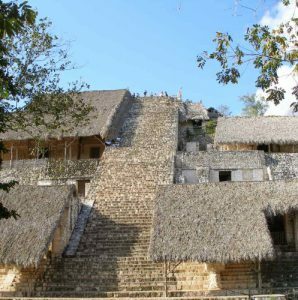 Finally enjoy of Mayan and Adventure activities such as rituals, ropes, rappel and more. 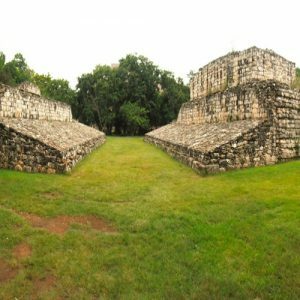 Transportation for small groups, traditional lunch, water, entrance fee to Ek Balam, archaeological tour guide, English speaking guide, equipment required for activities, hammocks, towels and lockers. 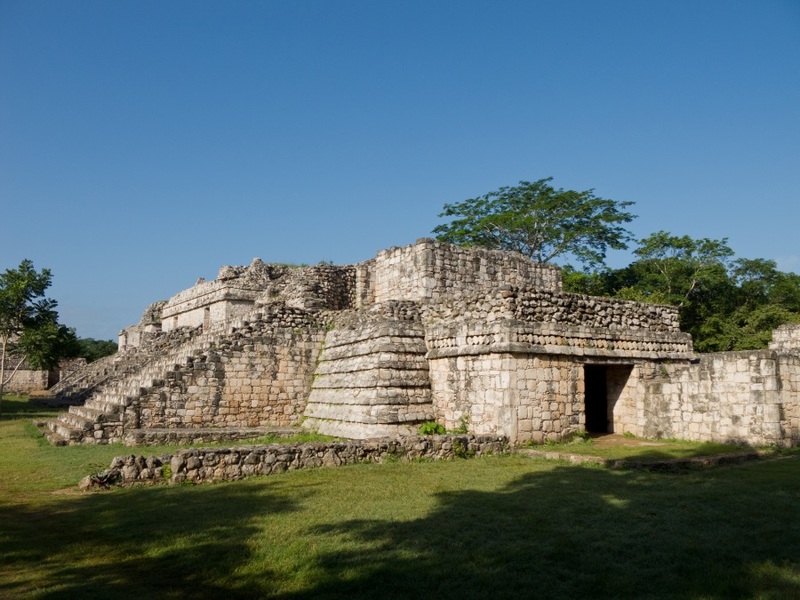 The main temple where the doorway is in the shape of a monster-like mouth, possibly depicting a jaguar; this is the temple in which Ukit Kan Le'k Tok', the founder of Ek Balam dynasty, was buried. The Acropolis or structure number 1 has six levels and numerous rooms, is 160 meters long by 60 meters wide and 32 meters high, only surpassed in size in the state by the pyramid of Kinich Kak Mo in Izamal, its shape is pyramidal For which it was a symbol of the sacred mountain by which it was acceded to the celestial plane and at the same time where was an access to the underworld. 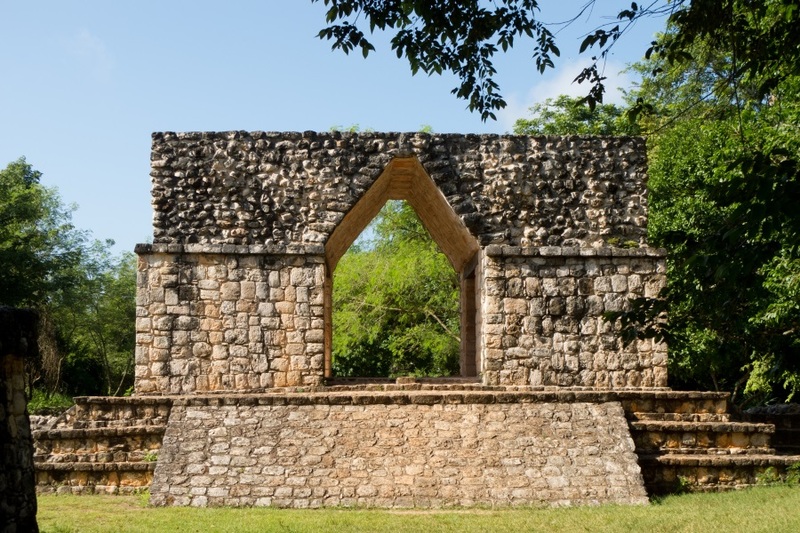 Stands at the entrance of Ek’ Balam, constructed over the road that leads into the city, was probably ceremonial in purpose. 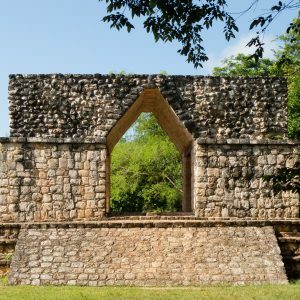 A vaulted arch that from some angles is shaped like a cross, for some researchers arriving from a sacbe and passing under the arch was probably considered or symbolized a sacred act of purification when crossing from a profane to a sacred space. The oval palace which as its name indicates is formed by oval bodies, this palace is thought to have been inhabited by the elite of the city since there are 10 rooms, however, it is likely that it also had ceremonial functions since the upper part seems have been used as Altar, moreover findings of burial relics and its alignment suppose it could be used for cosmological ceremonies. Two structures placed in the same basement and which have been called the Twin, although today have different degrees of conservation at the time were identical. Located in the west of the South Square are the ones that presents the best preserved architectural features. In whose stands were found hieroglyphic texts, which mentioned the time in which they were covered approximately in 841 AD and the name of a personage who was presumed was its owner called Tz'ihb'am tuun "who paints or writes in stone" . The ball game was extremely important to the Mayan people, it was seen as representing cycles or antagonistic as day and night, the sun and moon, the cycle of earth and underworld, also symbolized the cycle death and rebirth as well like the ascent of the twins Hunanpu and Ixbalanque like sun and moon as it narrates the Popol Vuh. "White house of reading", located on the fourth level of the acropolis, is one of the most beautiful works of Mayan architecture and undoubtedly the one that distinguishes this site, the facade of this room was completely covered with a huge mascaron, which is very well preserved, since pre-Hispanic times was covered not only to protect it, but mainly to protect the Tomb of the King Ukit Kan Lek'Tok together with an offering of more than 7, 000 pieces that included pots made of ceramic, Alabaster and jewels. Go down into the region’s most impressive Cenote of 60 meters diameter and in an almost perfect circular shape. Enjoy its beautiful rock formations and swim in this large and fresh natural pool. Go back to the surface from the underworld through a tunnel or a large wooden staircase. Also enjoy of: Trepachanga (ropes) Tarzan vine and rappel down 26m (264 lbs is the maximum weight for the rappel activity). Maya hut. Learn about the architecture of the region and the use of plants for medical purposes. Handcraft market. Visit a small and colourful market where you can find quality local handicrafts. Buy them and you will contribute to benefit the Maya artisans of the region. 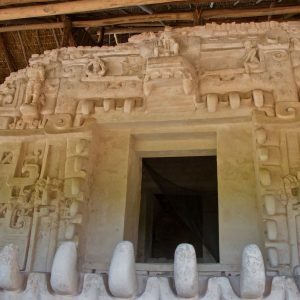 Maya ritual. Be part of an authentic blessing Maya ceremony that a shaman will perform for you. Organic garden. Walk through the plantation and discover vegetables that you will find in your meal. Traditional meal. Enjoy an authentic Maya menu including soup, chicken, vegetables, rice, beans and handmade corn tortillas.